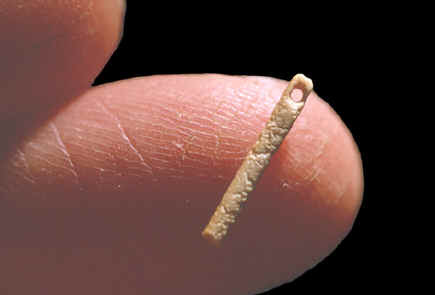 This very small and delicate bone Needle was found several years ago on an early Paleo Indian period Midland site. It was found about seven miles west of the Shifting Sands site in Winkler County, Texas. 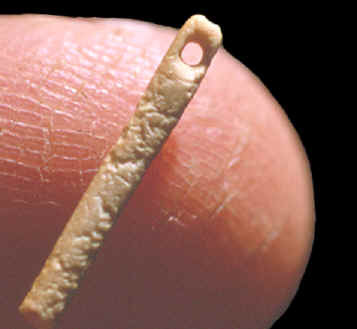 Although rare, other delicately made bone needles have been found on other early sites. Two Needles were found on the Agate Basin site in Area 2 in the Folsom level. An estimated date for this Needle would be approximately 11,000 years ago. This bone needle measures 9/16 inches (1.4 cm) long.